More than 80 members attended the first of the Society’s events of the 12/13 season on 4th October 2012. They were rewarded with a fascinating account by Professor Maurice Moloney of the work Rothamsted Research is doing to help the world feed itself in the future. A brief EGM was held before Professor Moloney’s talk where members voted unanimously in favour of the revised constitution and the appointment of the Society’s new President, Alison Steer. 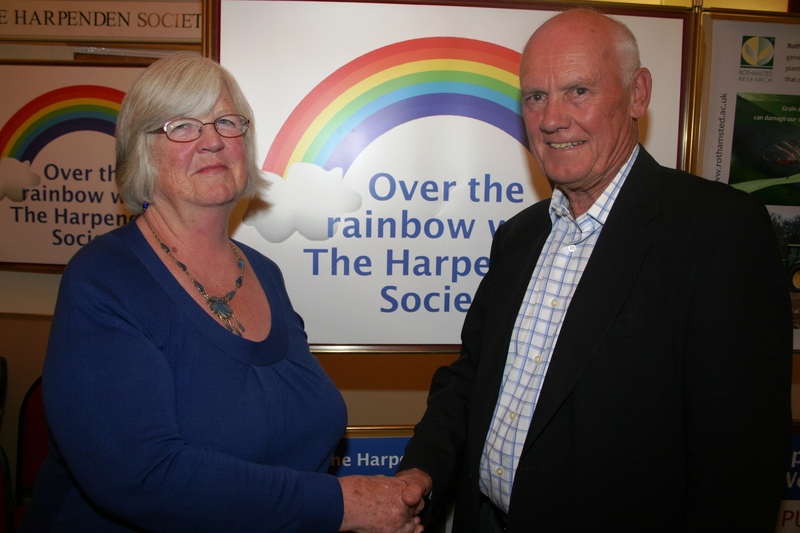 The Society’s Chairman, Chris Marsden, with new President Alison Steer. 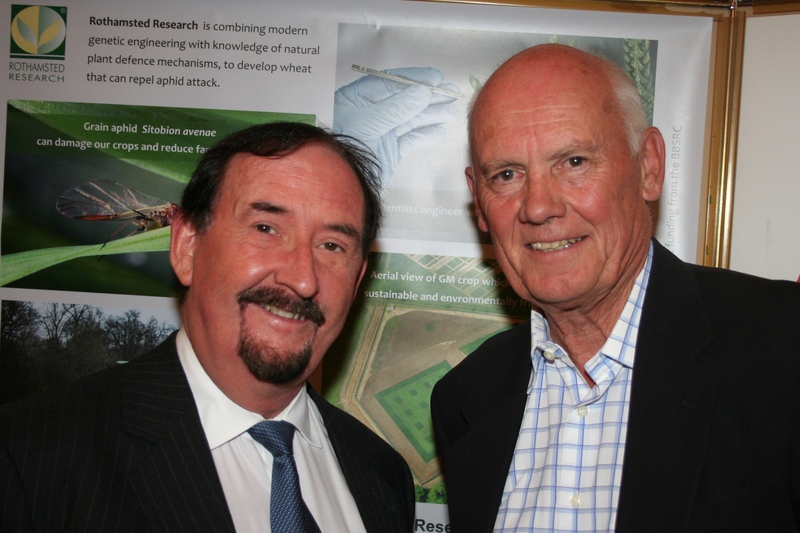 The Society’s Chairman, Chris Marsden, with Prof. Maurice Moloney, Director of Rothamsted research. 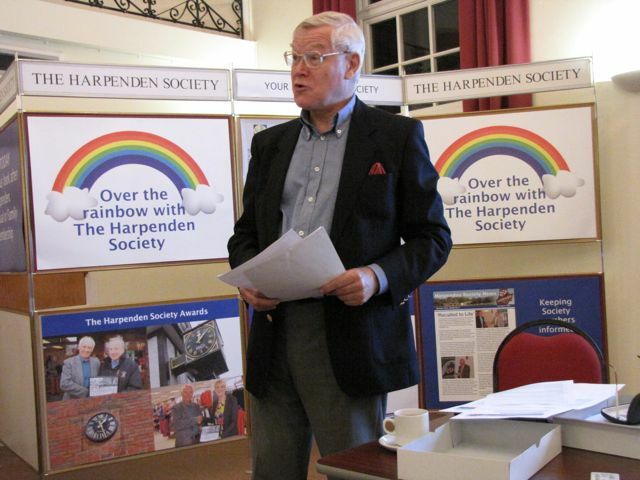 The Society’s Vice- Chairman, Richard Thomas, addressing the meeting.